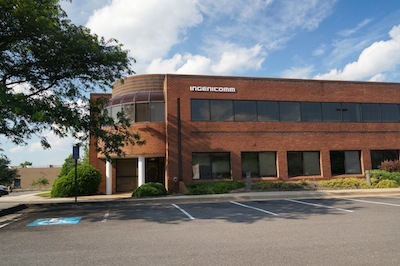 Ingenicomm, Inc. is a leading provider of ground and range equipment and enterprise engineering services for civil, commercial, defense and intelligence aerospace programs. Our staff is composed of class-A design engineers, systems engineers, and process-oriented support staff, with strong technical and executive leadership. We support missions operated by a majority of domestic and international space agencies, and Ingenicomm equipment is deployed on every continent, including Antarctica. The need to modernize ground system architecture drives us to think outside the box and seek out ingenious communication paradigms — and thus we created Ingenicomm. We specialize in the standardization of ground network elements, enabling interoperability while providing customized solutions to meet the unique requirements of individual missions. Our approach allows the user flexibility in a multi-mission environment by leveraging powerful software processing to solve complex engineering problems. Having adopted the Project Management Institute's recognized good practices; Ingenicomm strives to achieve a balance between project scope, schedule, and cost, while maintaining the highest standards of quality. From receiving spacecraft health and status to remote sensing and operational awareness to delivering network-centric command and control through the Global Information Grid, Ingenicomm is committed to the success of your mission.